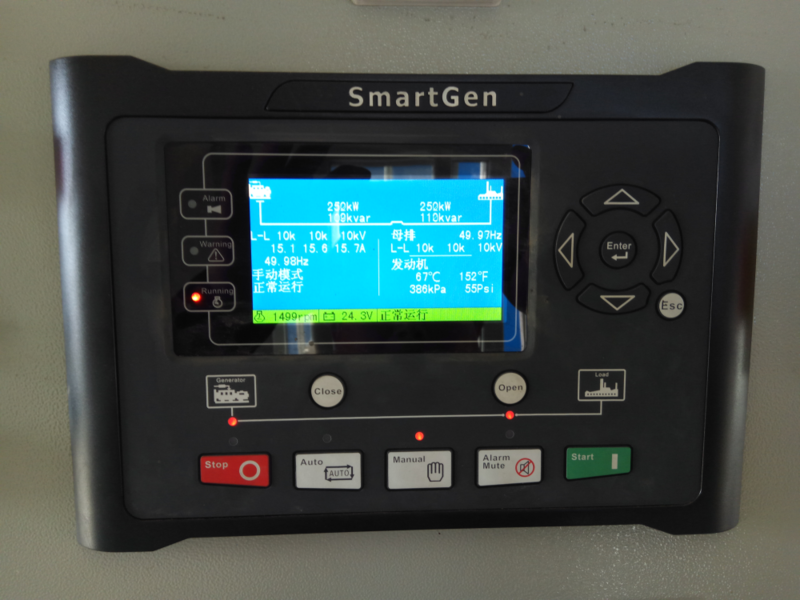 SmartGen’s blog – 第17页 – To be the most trusted brand within field and to assemble smart brain for each set equipment of the world. The 121st Spring Canton Fair will be held in April 15, 2017. 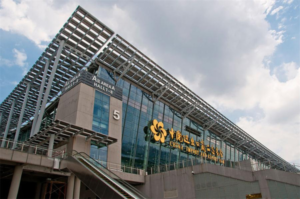 SmartGen Technology and you meet in Guangzhou, we are waiting for you in the A Hall 3.1 District N23. 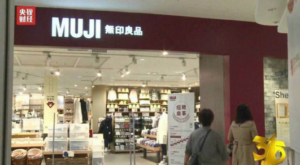 SmartGen Technology has been adhering to the marketing idea of doing domestic goods boutique and going out of the country. Adhere to participate in China Import and Export Trade Fair more than ten years. 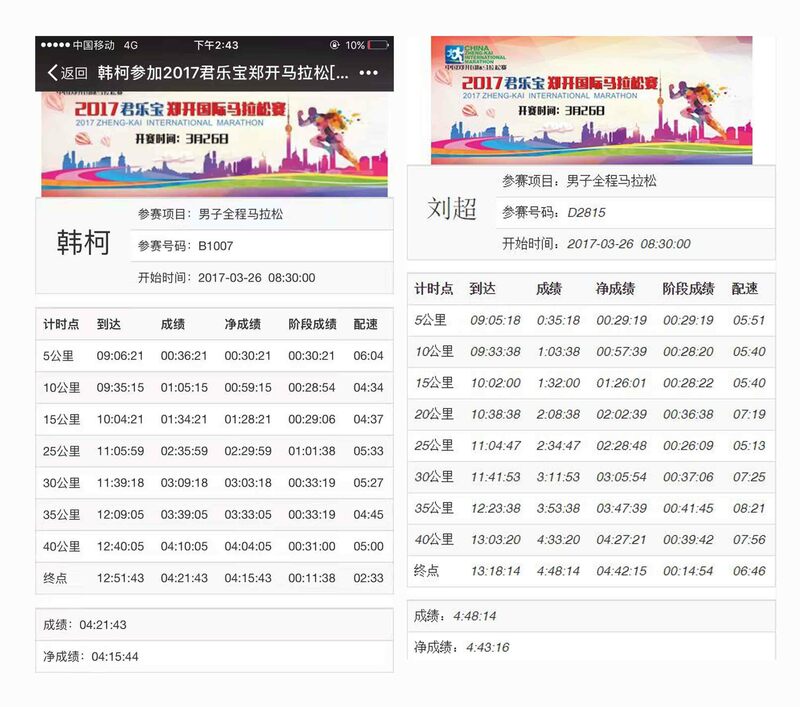 In 2017, we are here again, adhere to the original dream, from China, to the world. We will bring a new series of products debut in Canton Fair in April 15, welcome friends to have a visit! Do not miss the opportunity, there is always one you want! Do You Know the Four Basic Marketing Management? Want to do marketing, first of all we have to learn management time, customer base, customer structure, sales process. 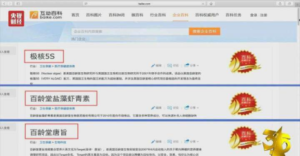 Today Xiaobian simple summary these four basic management. In fact, a year is very short, we have to make full use of time. Maintain a small customer, seize the big customers, with tight long-term customers, to give up no intention of customers. 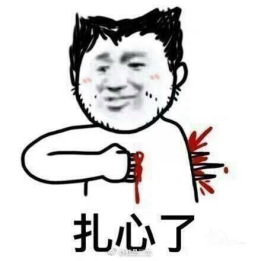 Interested customers: willing to care about you, the price is expected to close (with purchasing power), can be used as an interested customer. Intentional to customers: willing to care for you, with purchasing power, there are intention to buy. 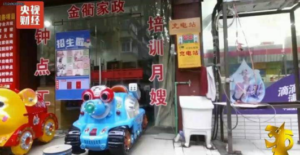 prospective customers: willing to care for you, with the purchasing power, have the intention to buy, anxious to buy. customers: the old stock of customers, old customers introduced. Initial visit: the initial visit to the taboo visit time is too long, to the next visit to stay a topic. Observe the customer input, whether the customer is willing to give you time. Customer communication: grasping accurate customer information, customer needs. Quickly contributed: salesequipment, sales skills. HGM9520 Five Parallel Modes, How Many Modes Have You Used? 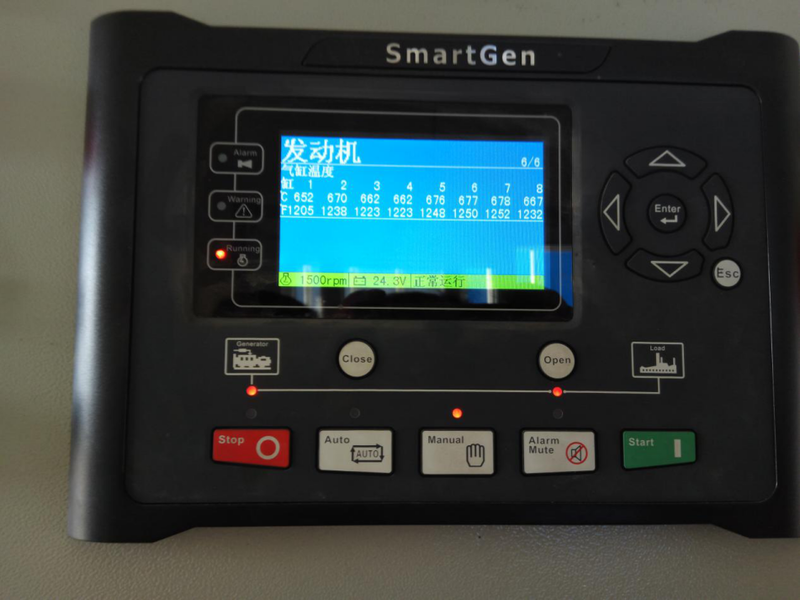 Load mode selection for the power generation control mode, when the remote start input on demand is valid, the unit starts, synchronous closing soft loading, output is set the active power, reactive power or power factor. When the remote start is invalid, the unit soft unloading,open and shutdown. Load mode selection for the mains control mode, when the remote start input on demand is valid, the mains input power is greater than the set value, the unit starts, synchronous closing, power soft loading, according to set the mains load power value, beyond themains, the part of the electrical power setting is made up of the power. When the remote start is invalid or the load is less than the mains power setting, the unit soft unloading open and shut down. 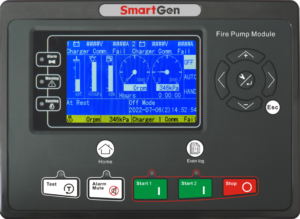 The mains control mode must be connected to the mains CT.
Load mode selection for the load receiving mode, when the remote start input on demand is valid, the unit starts, synchronous closing, power soft loading, power all transferred to the power generation side, the mains close. When the remote start is invalid, the mains anti-synchronous closing, power generation all transferred to the mains, power generation open and shut down. The load receiving mode must be connected to the mains CT. Note: This mode applies to port units. 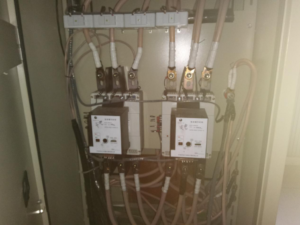 After the failure of the mains, the mains open, the unit starts with the load. After the mains is normal, the mains anti-synchronous closing, power soft unloading, the unit automatically shuts down. Remote start island mode is valid, the unit starts, synchronous closing soft loading,mains opening. Remote start island mode is invalid, the mains anti-synchronous closing, power soft unloading, the unit automatically shuts down. Weichai Heavy Machinery Returns, Who Wants to Be the Challenger in High-pressure Parallel Unit? 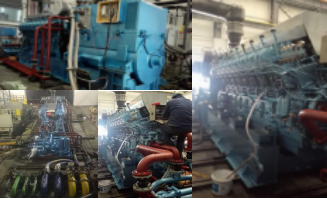 At the beginning of March Weichai Heavy Machinery (Weifang) Co., Ltd. produced Weichai heavy machinery king engine in the “engine home platform” was popular, in the industry set off a small boom, became a hot topic of genset industry in the first quarter. At the end of March Weichai heavy truck Chongqing branch of the six medium-speed high-power diesel engine appear, but also high-pressure parallel unit. Then will it be popular? I think so, what do you think? Engine model: CW16V200ZD, rated power 1760KW, overload power 1936KW, rated speed of 1000 rpm. The genset is assembled and produced by Weichai Power Generation Equipment Co., Ltd., and the genset has a power of 1600KW. It adopts 6 sets of 10.5KV high-voltage unit and it is applied to a foreign project. The so-called good horse with a good saddle, as a high-voltage genset parallel unit system, gensets, pressure regulator, speed control devices, and parallel unit controller plays a vital role. The whole system configuration can be described as high-end. Generators are used in the domestic high-voltage generator leader, China Shipping Heavy Industry 10.5KV, 2000KVA high-voltage genset. The pressure board uses the international brand ABB. Speed control system is equipped with well-known foreign brands WOODWARD, model 2301E. 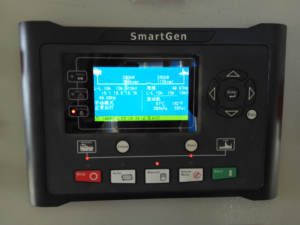 And the parallel unit controller as the core of the parallel unit system, using the Zhengzhou SmartGen Technology Co., Ltd. produced SmartGen brand, HGM9510 genset parallel controller. Such an important foreign project to use the Chinese people’s own brand, let Xiaobian feel very pleased! Go Running, Smart Runner! Forge Ahead, SmartGen! The 11th Zheng Kai International Marathon as scheduled held on March 26, 2017 . 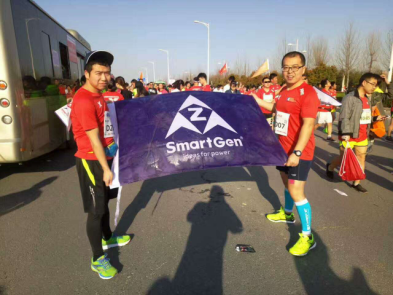 This is also the “Smart Runner” of SmartGen for the first time to participate in the marathon. As we all know, the appropriate jogging can improve physical fitness, lose weight and keep healthy. Based on this, under the care of leadership, “Smart Runner” in the beginning of 2016 came into being. Smart Runner upholds the fine style of SmartGen , “courage” as the slogan, quickly in the company forms a new boom of running fitness. 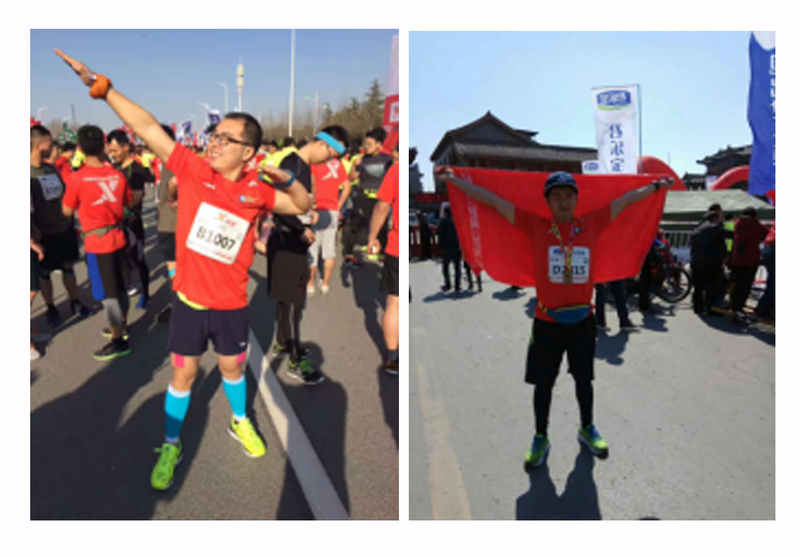 The Zheng Kai Marathon, “Smart Runner” to send two players, are the best results of their successful completion of the 42.195Km run, from the provincial capital Zhengzhou step by step ran into the Northern Song Dynasty capital —- Kaifeng. The spirit of perseverance highlights the corporate culture of advance bravely of “SmartGen Technology”. It is by virtue of this tenacity that makes present SmartGen Technology. Although marathon road has an end, “SmartGen Technology” keeps moving forward never stop. 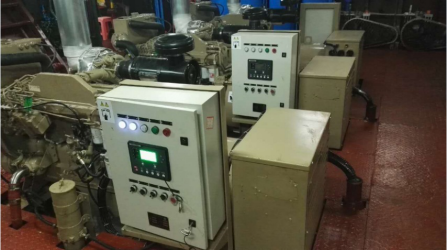 Recently, the three main genset parallel vehicle system of patrol ship in Haikou Maritime Bureau debugging completed, three Cummins main genset control screen uses HMC6000 series diesel engine self-starting box, and the parallel vehicle system adopts HMC6 power management module. 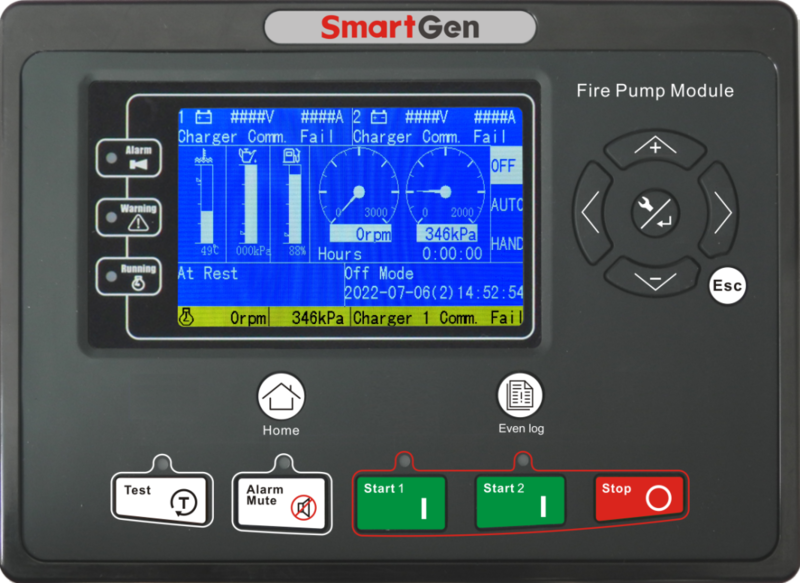 The HMC6 power management for customized version in this time, not only can achieve the function of HMC6, you can also view the operation of the diesel engine at any time on the HMC6 by communicating, the whole system is more simple and smart! 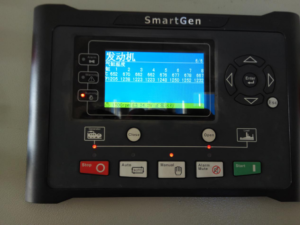 HMC6000 series marine diesel engine self-starting box with LCD panel, you can achieve diesel engine remote control, local power on/off, data measurement, alarm protection and other functions. 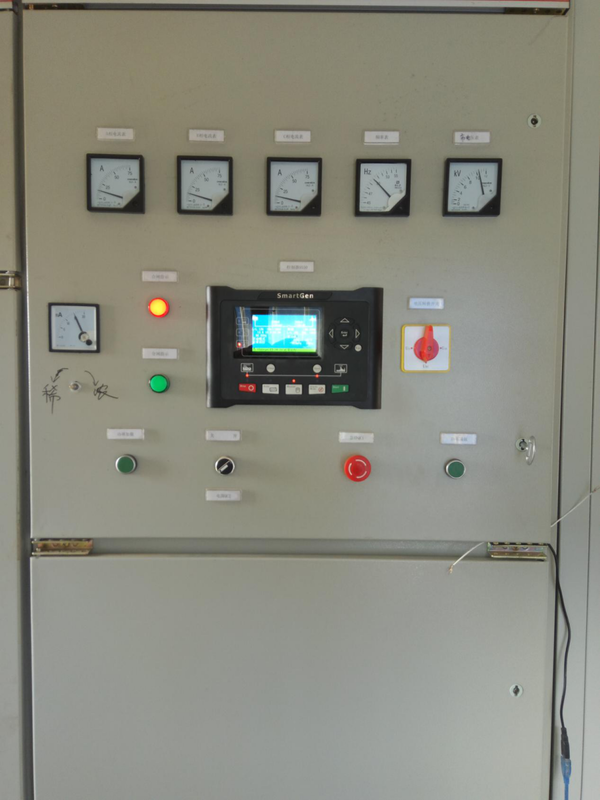 This control box can detect the speed, water temperature, oil temperature, oil pressure, water pressure, battery voltage and other parameters of engine, it has water level alarm input, fuel leakage alarm input and other multi-channel alarm signal input function, control box with security module, the digital output module, remote module and allows the user to obtain more functions and output interfaces besides the main control module. 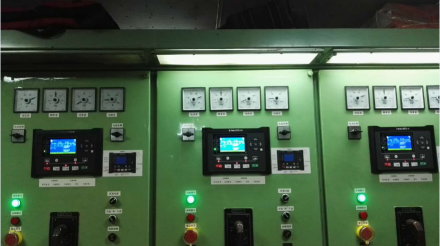 The HMC6 is a power management system for ship power plants with a variety of start modes for generator control, detection and protection, it can achieve automatic synchronization and load distribution of up to 16 gensets. 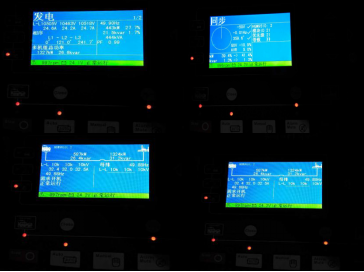 The system can calculate the genset start priority and other related power management functions. 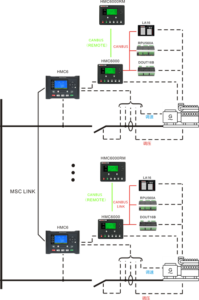 If one of the control units fails, the system will automatically go to the next available control unit and have overload query, non-critical load trip, history record and other functions. Yesterday, it is the annual “315 consumer rights day”. 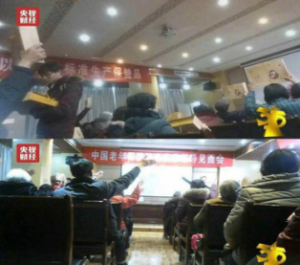 The 27th 3.15 party even exposes many amazing truths in CCTV , let us hurry to make an inventory. 2. 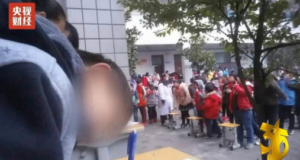 “Three-no physical examination team” enters into the hundred schools, Zhengzhou Christie Visual organizes false medical examination, it is harmful for the eyes of 130,000 children. 3. Unscrupulous businessmen feed excessive drugs for animals to promote animals grow meat, another “clenbuterol” comeback, threatening human health. 4. We usually eat Japanese snacks, actually from Japan, “nuclear pollution area”: a number of unscrupulous businesses, only their own desires, imports food from radiation area in Japan. 5. 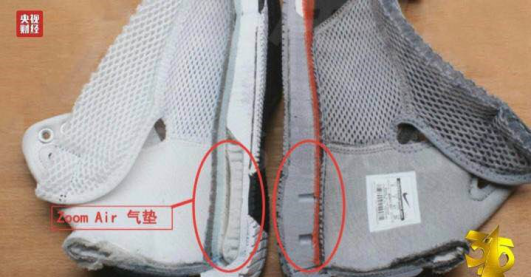 Nike Kebi high-end basketball air cushion shoes “no air cushion”, “Just do it” becomes “Just cheat it”. 6. 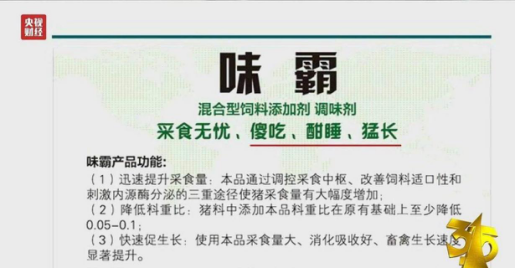 “Yuesao card” is actually “knock-off made”: a number of Yuesao intermediary, senior Yuesao documents, only pay no training will be able to take. 7. “Health talk”, deceives the elderly: unscrupulous businessmen gathered to let the elderly buy astronomical health care products. There are a lot of terrible truth, involving all aspects of our lives, they are shocking and fearful. As ordinary consumers, these unscrupulous businesses and fake and shoddy goods, they are hard to prevent for us. We have to throw a box of Japanese snacks and put away the Nike shoes …….after reading this year’s 3.15 party. SmartGen Technology as a socially responsible enterprise, always remembers and protects the interests of our customers. Our strength is not large, but from my start, not only to ensure that their product quality, but also zero tolerance for counterfeit products of SmartGen! We work together, so that fake and shoddy and illegal business experience “3.15” every day! 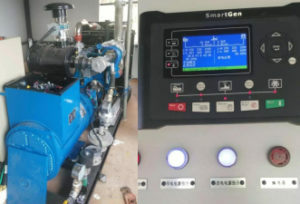 The genset is running, when a unit with overloading, after closing for the other units of power sharing, because of the need to transfer more load, if do share transfer directly can cause the shock of the two units and big speed fluctuation, so the load transfer process needs soft loading process. Due to the response of unit and the controller is inconsistent, it can lead to the soft loading process after the completion of the units is still volatile, so the controller uses the ladder soft loading, it can increase delay point when soft loading and to get early ease for over regulation or under regulation. 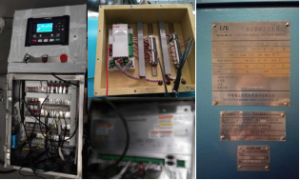 When the circuit breaker of genset closing, the genset power gradually rise, the power to set the power delay points or delay point integer times, delay after a period of time, continue to increase power until soft loading process is complete. 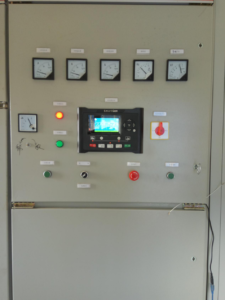 For example: delay loading point is set to 10%, loading time delay is set to 10 seconds, pause loading after genset power gradually rising to 10%, after the expiration of 10 seconds delay, continue to load, pause loading after power up to 20%, after the expiration of 10 seconds delay, continue to load, pause loading after power up to 30%, after the expiration of 10 seconds delay, continue to load until soft loading process is complete, begin to the normal load sharing after reaching share power. Grid-connected Uses SmartGen, Life Is More Beautiful! 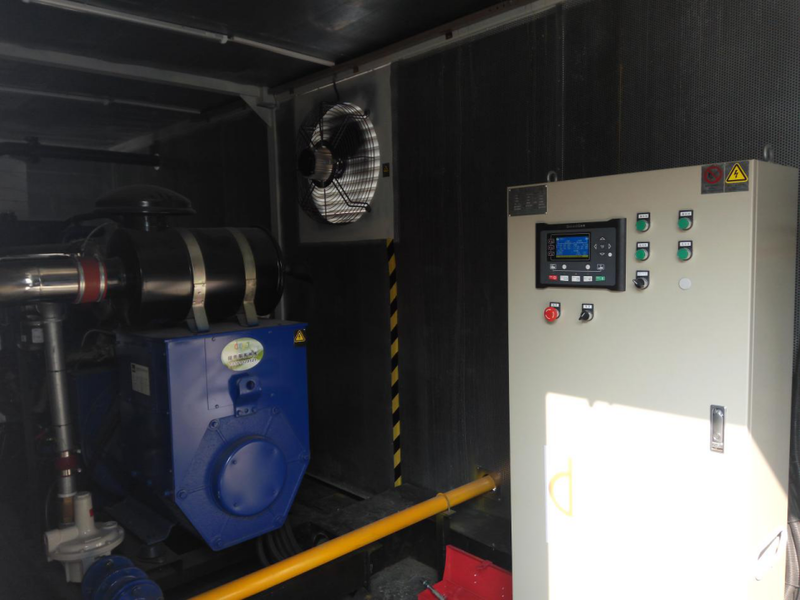 A garbage landfill in Luoyang adopts 500 KW gas generator of imported brand, air source for biogas, chooses HGM9530 parallel with grid controller, AIN24 analog input module and DIN16 digital input module of SmartGen. There are thousands of tons household garbage every day in China, if do not recycle these waste, it will not only pollute the environment seriously, also can bring a lot of disease. Smart human can recycle and decompose these sources of pollution. Using biogas generated from the chemical reaction as a new type of green energy to provide power for genset, to improve the human living environment has made a great contribution. If human civilization from find electricity to create electricity, so the new energy power generation is the continuity and development of human civilization. 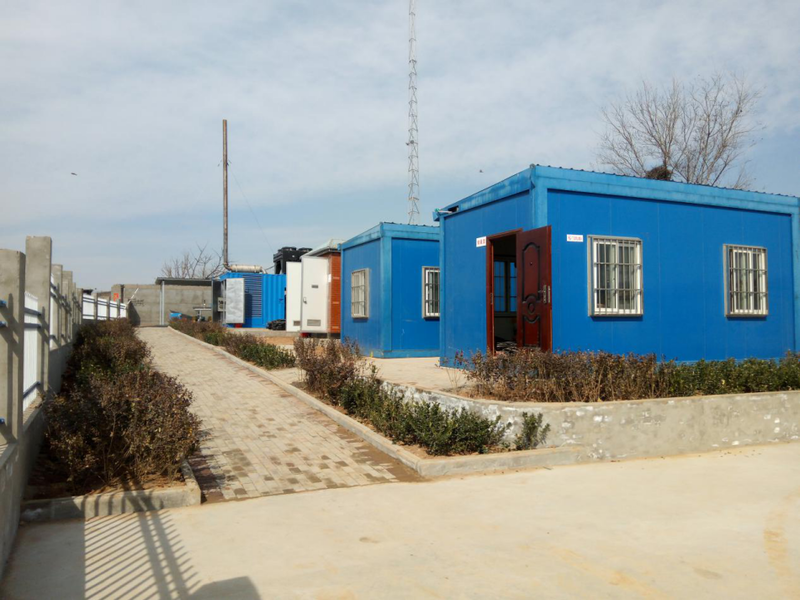 The gas genset is 500KW high voltage unit in this project, the output voltage is 10500V, then through the HGM9530 closing incorporated into the national grid. Parallel with SmartGen, Good Use! Perfect! 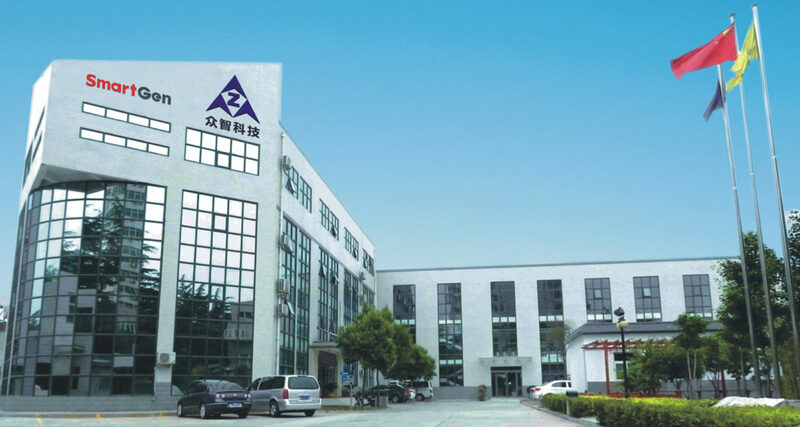 Jiaozuo Mengniu Dairy adopts two 250KW imported gas gensets, gas for biogas. 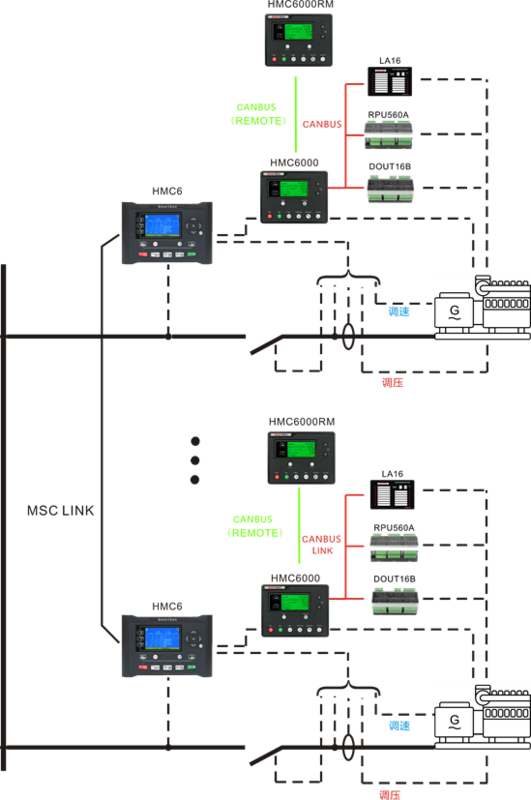 Choose two HGM9510 parallel unit controllers and one HGM9560 parallel with grid controller of SmartGen. 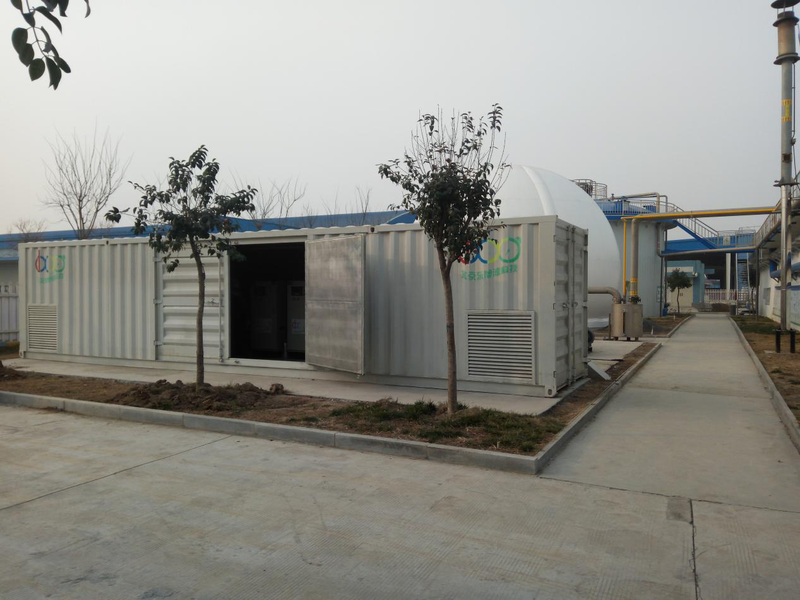 The biogas generated from the sewage treatment plant was in the air before without installing the unit, it polluted the environment. 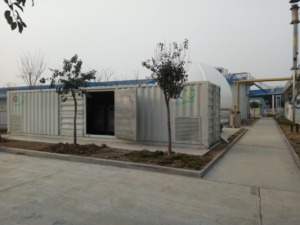 After added unit, sewage treatment plant stores biogas produced from industrial waste water through a series of industrial waste water sewage treatment system in storage bag, there are two gas gensets by HGM9510 start closing and parallel unit when storage bag is full, then through HGM9560 and mains parallel with grid to supply part of electricity for the factory. This consumes biogas and reduces the power consumption. Energy saving and environmental protection.